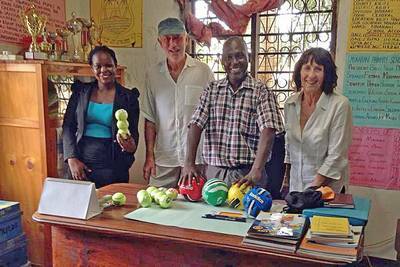 Pauline Lowe, KeshoUK Treasurer visited Kesho Kenya's offices in January 2019. 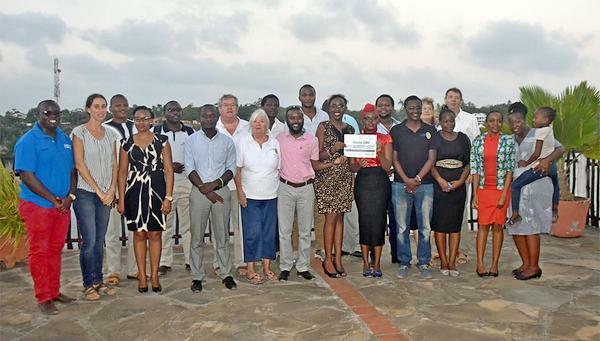 Pauline attended the Kesho Kenya board meeting whilst she was there and was updated with Kesho's plans for 2019 and the latest student news. 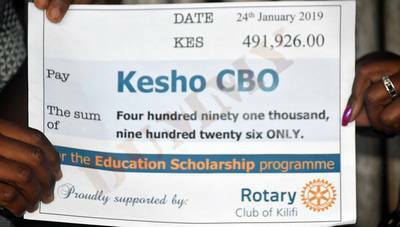 Pauline was also present at a meeting of the Rotary Club of Kilifi, the pictures below show the Rotary clud handing over a cheque for 490,000 Kenyan shillings towards sponsorship of secondary school students. 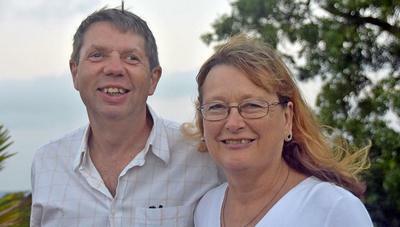 In March 2019, Margaret and John Ireland visited the student who they sponsor. 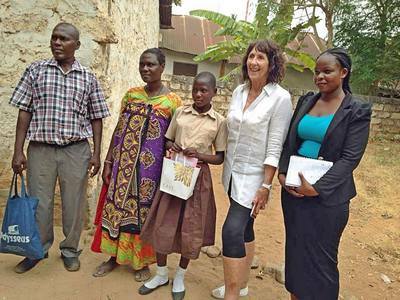 They visited Mwana Juma at her school and home.